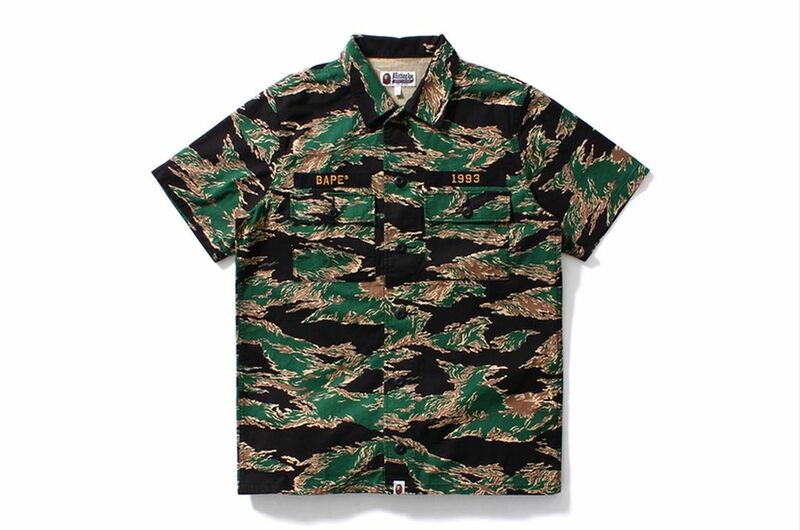 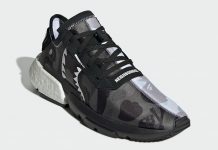 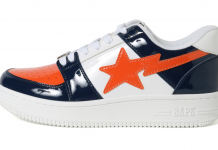 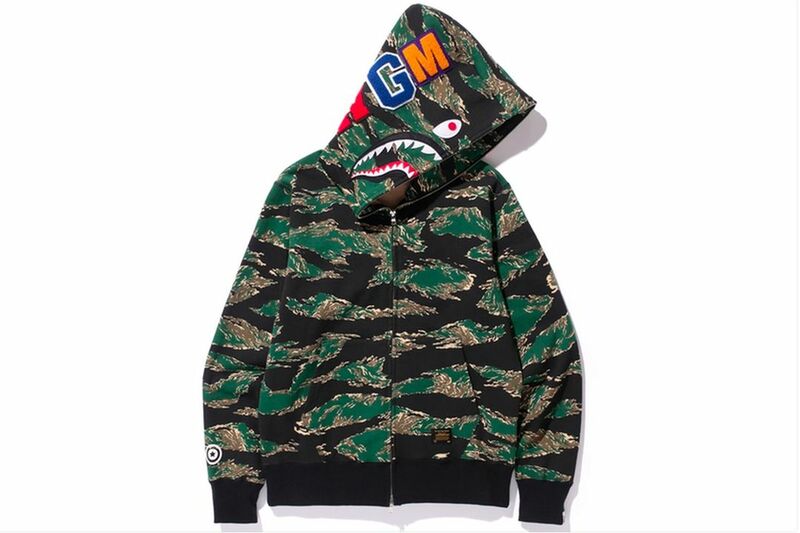 A Bathing Ape uses the classic Tiger Camo that was originated in the 60’s on the latest Bape capsule collection. 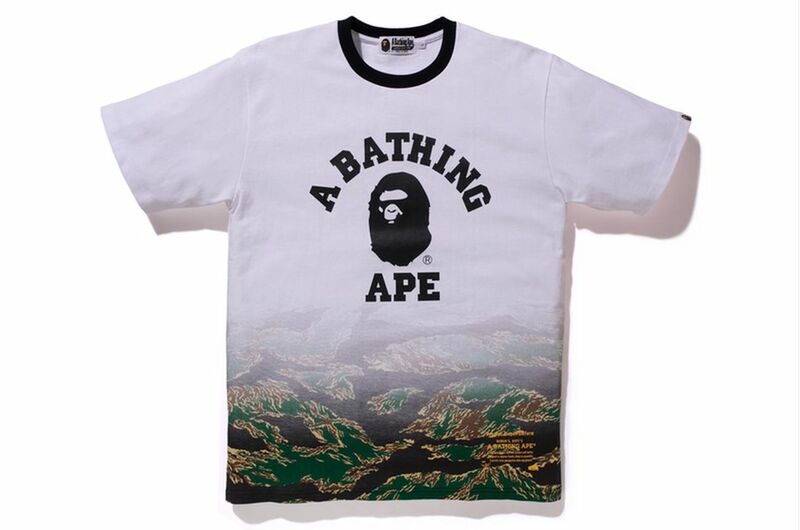 The collection consists of various tops and bottoms including a bucket hat fitting for the Spring and Summer weather. 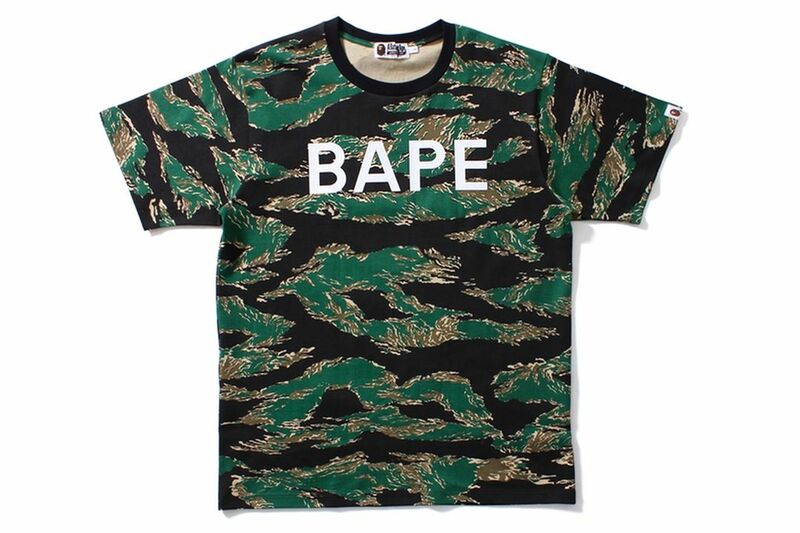 Classic Bape Face imagery is added on four tees, alongside two tees featuring tiger camo pockets. 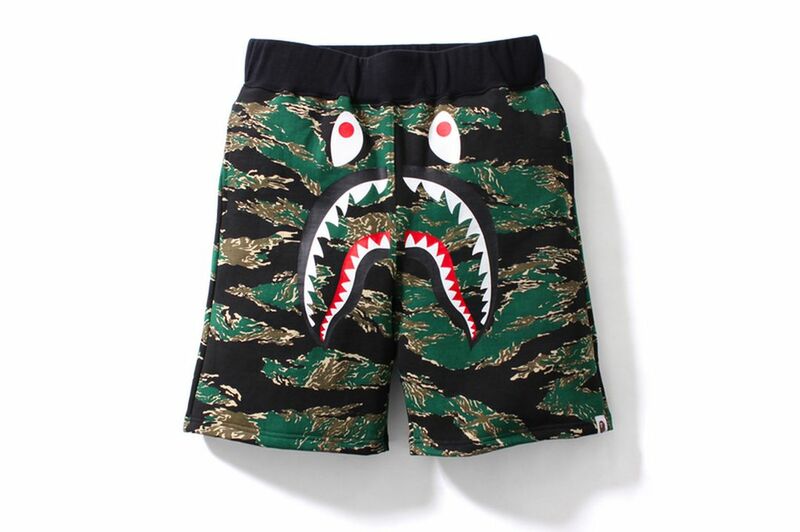 Bape Shark shorts and hoodie are also part of this collection, including a short sleeve button up and sweater. 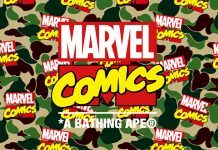 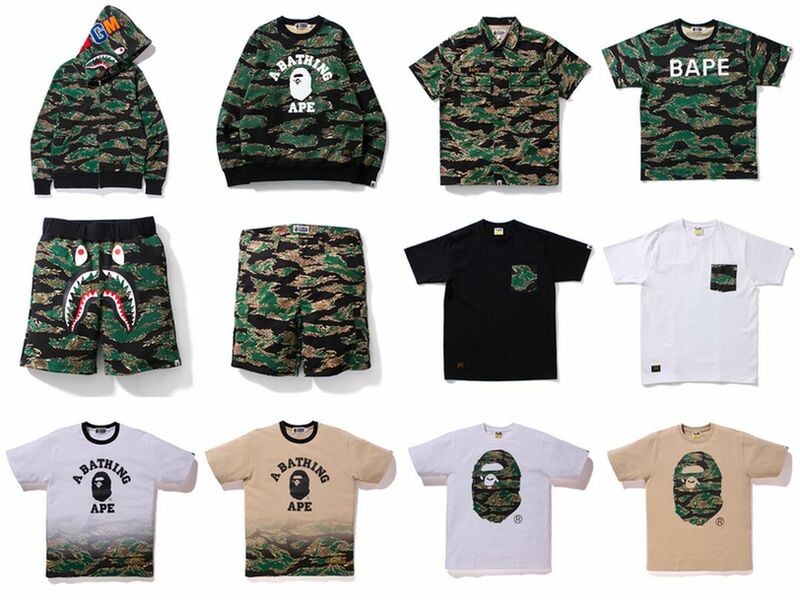 Look out for the Bathing Ape x Tiger Camo collection to release at Bape retailers globally on March 19th.